Drivers, software and utility download for Canon products. 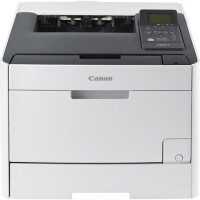 Canon imageCLASS LBP7680Cx Printer Driver & Software for Microsoft Windows and Macintosh. Driver and application software files have been compressed. The following instructions show you how to download the compressed files and decompress them. 1. To download files, click the file link, select [Save], and specify the directory where you want to save the file.The download will start automatically. 2. Downloaded files are saved in the specified folder in a self-extracting format (.exe format). 3. Double-click the files to decompress them. A new folder will be created in the same folder. The new folder will have the same name as the compressed file. 4. For information on how to install and use the printer drivers, refer to [XPS Driver Installation Guide] in the [Manual] folder. 1. Click the link. The download will start automatically. 2. Files are saved on your computer desktop. 3. Double-click the file to mount the Disk Image. 4. Double-click the mounted Disk Image. 5. Double-click the Installer file in the folder. Installation starts automatically.